Let your carefree spirit shine in this showstopping Rock and Roll Cowgirl Dress. Figure-flattering peasant dress drapes the body with a relaxed shape. Airy rayon weave crafted with a smooth finish and sports allover geometric print throughout. Slip-on styling. Crossover V-neck. Long-sleeve coverage with stretch cuffs. Encased bodice. Slash hand pockets. Straight hem hits mid-thigh. 100 percent rayon. Hand wash, line dry. Imported. Measurements: Length: 38 in Chest Measurement: 17 in Sleeve Length: 28 in Product measurements were taken using size SM. Please note that measurements may vary by size. Look your best for date-night and dance the night away in this tantalizing Rock and Roll Cowgirl Dress. Relaxed fit off-the-shoulder dress skims the body with an easy, loose silhouette. Semi-sheer weave lends superior comfort and incredible breathability. Elasticized neckline with ruffle trim. Long sleeves with bell cuffs. Ivory stitching sports Aztec-inspired embroidery. Handkerchief hem at mini length. marterials Machine wash, line dry. Imported. Measurements: Length: 21 in Chest Measurement: 18 in Sleeve Length: 31 in Product measurements were taken using size SM. Please note that measurements may vary by size. Bring your dreams to reality with this lovely Rock and Roll Cowgirl Dress. Relaxed fit dress drapes the body with an easy, swing silhouette. Mid-weight, stretch fabric allows full range of motion for all-day comfort. Slip-on styling. V-neck. Long sleeves with stretch cuffs. Floral embroidery along neckline. Straight yokes. Patch hand pockets. Scalloped hem. materials Machine wash, line dry. Imported. Measurements: Length: 29 in Chest Measurement: 18 in Sleeve Length: 34 in Product measurements were taken using size SM. Please note that measurements may vary by size. Keep a positive attitude and swing into things with this lovely Rock and Roll Cowgirl Cold Shoulder Top. Relaxed fit drapes the body with a modern cut. 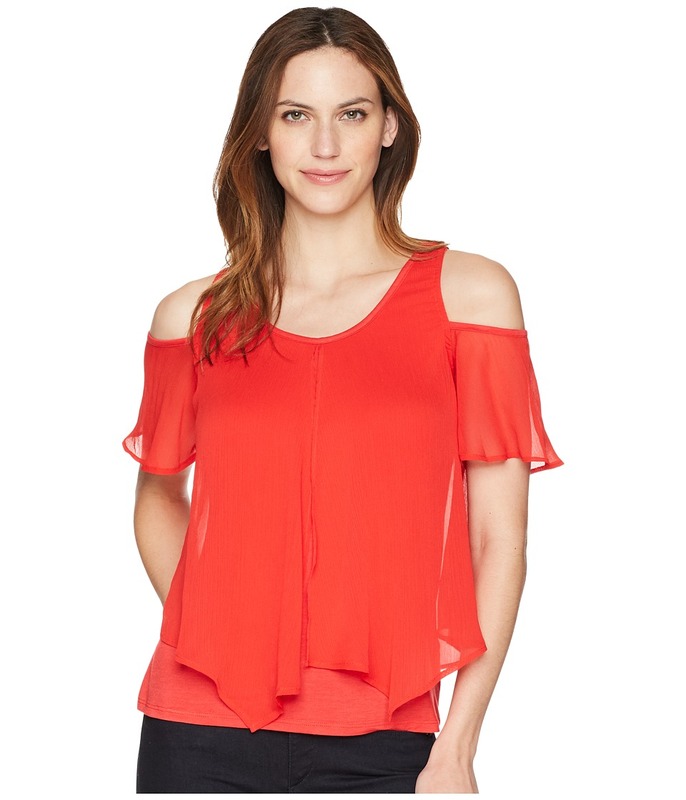 Lightweight fabric crafted with a semi-sheer overlay lending a flowy silhouette. Slip-on styling. Scoop neckline. Cold-shoulder cut outs. Flutter shirt sleeves. Straight hem. 100 percent polyester. Lining: 95 percent rayon, 5 percent spandex. Machine wash, dry flat. Imported. Measurements: Length: 24 in Chest Measurement: 18 in Product measurements were taken using size SM. Please note that measurements may vary by size. Feel pristine and superior in this frisky Rock and Roll Cowgirl Top. 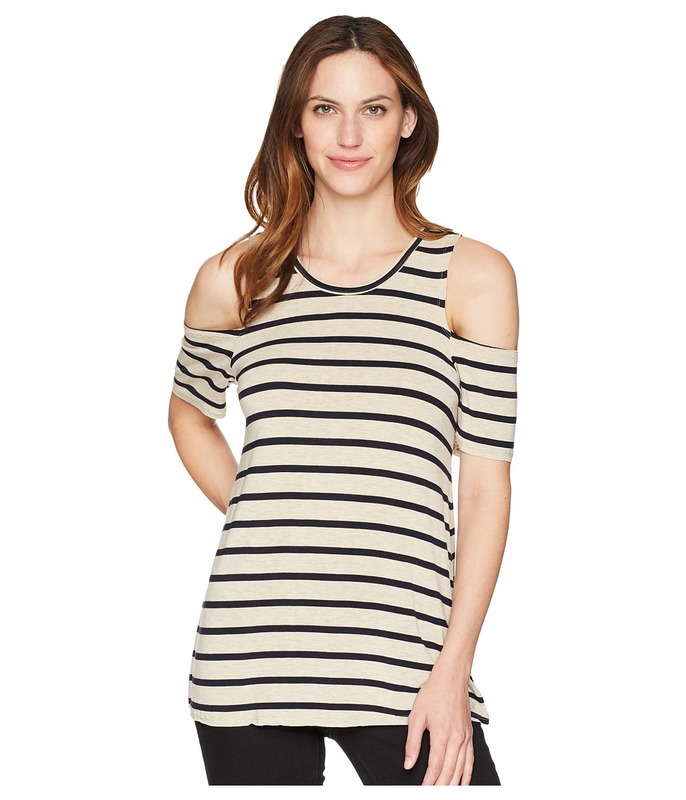 Standard fit shirt skims the body with a figure-flattering shape. Soft cotton weave sports allover stripes lending a modern look. Slip-on styling. Round neck. Cold-shoulder cut outs. Short-sleeve coverage. Straight hem. 89 percent polyester, 11 percent spandex. Machine wash, line dry. Made in the U.S.A. Measurements: Length: 22 in Product measurements were taken using size XS. Please note that measurements may vary by size. Let the sun shine down on your sunkissed shoulders in this attractive Rock and Roll Cowgirl top. 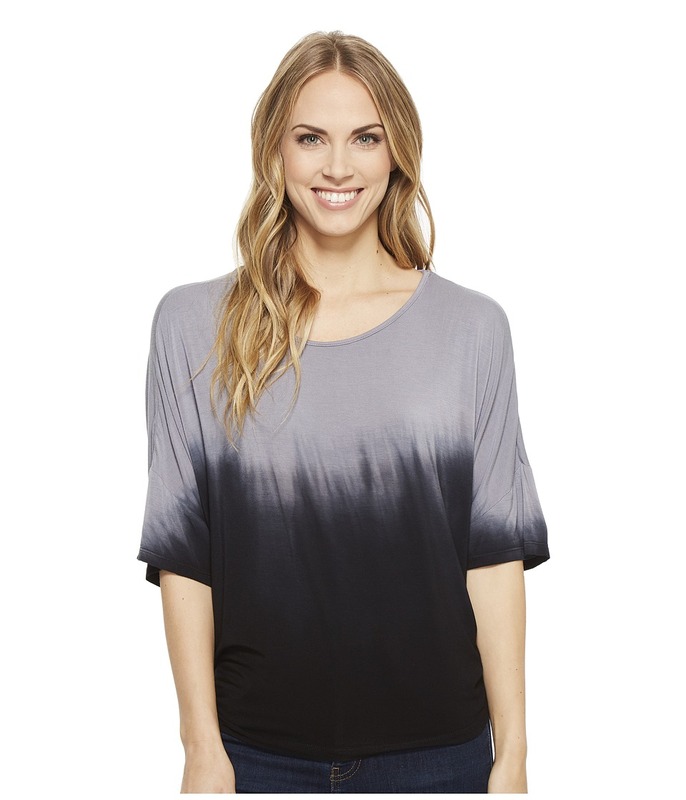 Standard fit off-the-shoulder shirt drapes the body with a flowy silhouette. 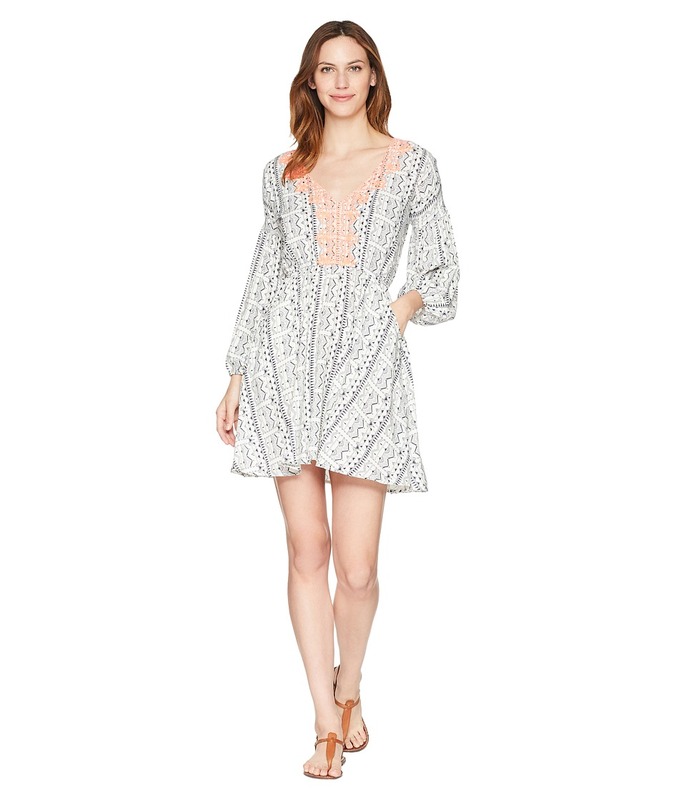 Light-and-airy weave crafted with lace trim along neckline. Slip-on styling. Spaghetti straps. Short-sleeves coverage. Straight hem. 95 percent rayon, 5 percent spandex. Machine wash, dry flat. Imported. Measurements: Length: 19 1 2 in Product measurements were taken using size SM. Please note that measurements may vary by size. Take a break from the ranching life and head to the city in this showstopping Rock and Rol Cowgirl Top. 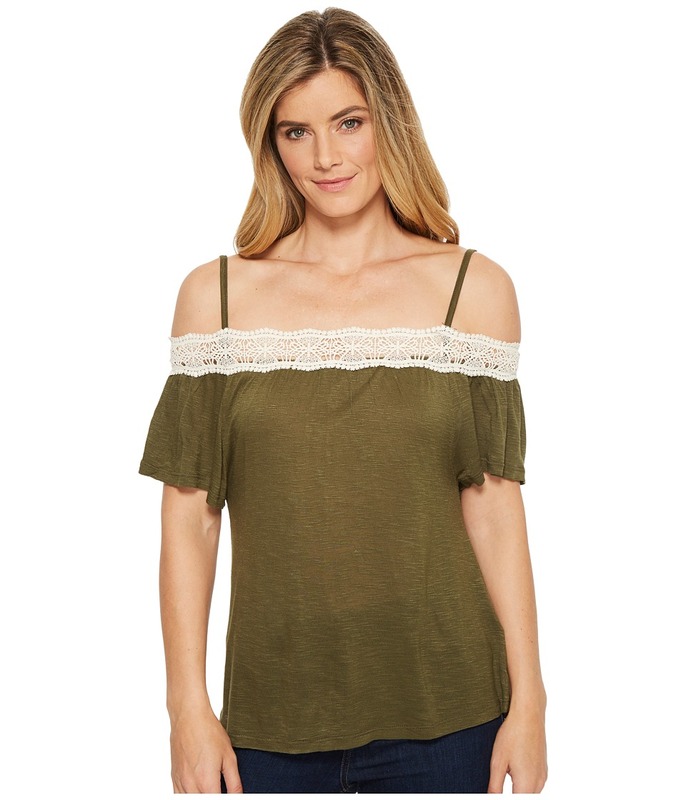 Relaxed fit peasant top drapes the body with a figure-flattering shape. 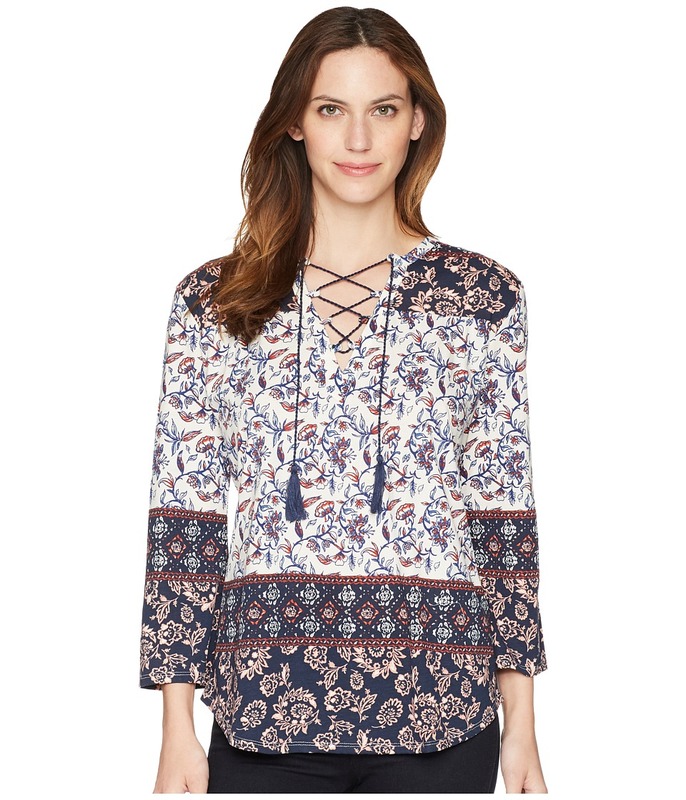 Airy crepe weave boasts paisley pattern lending a sleek finish. Slip-on styling. V-neck with lace-up tie front. Three-quarter sleeves with bell cuffs. Curved hem. polyester Machine wash, line dry. Imported. Measurements: Length: 27 in Chest Measurement: 20 in Sleeve Length: 20 in Product measurements were taken using size SM. Please note that measurements may vary by size. Flaunt your feminine appeal with ease in this lovely Rock and Roll Cowgirl Top. Relaxed fit drapes the bpdy with an easy, loose silhouette. Lightweight design sports dip-dyed fabric and a next-to-skin feel. Pullover styling. Round neckline. Dolman sleeves. Straight hem. 95 percent rayon, 5 percent spandex. Machine wash, dry flat. Imported. Measurements: Length: 24 in Product measurements were taken using size SM. Please note that measurements may vary by size. Embrace the day by starting your day feeling fabulous in this lovely Rock and Roll Cowgirl top. Regular fit shirt is shaped close to the body with a modern cut. 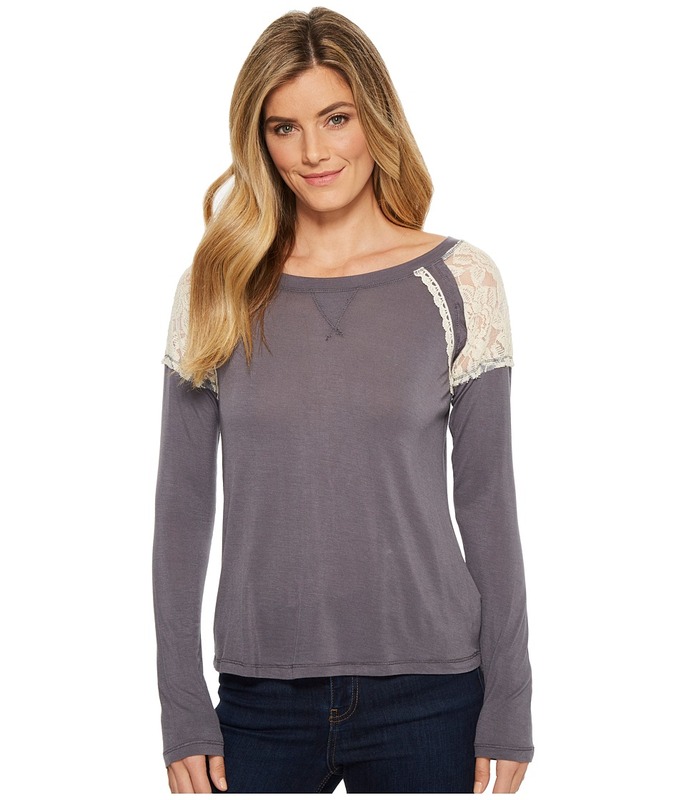 Ultra-soft fabric sports delicate lace trim along shoulders and back. Pullover styling. Crew neck with V-stitch placket. Raglan long sleeves. Split back hem. High-low hem. 95 percent rayon, 5 percent spandex. Machine wash, dry flat. Imported. Measurements: Length: 24 1 2 in Product measurements were taken using size SM. Please note that measurements may vary by size.